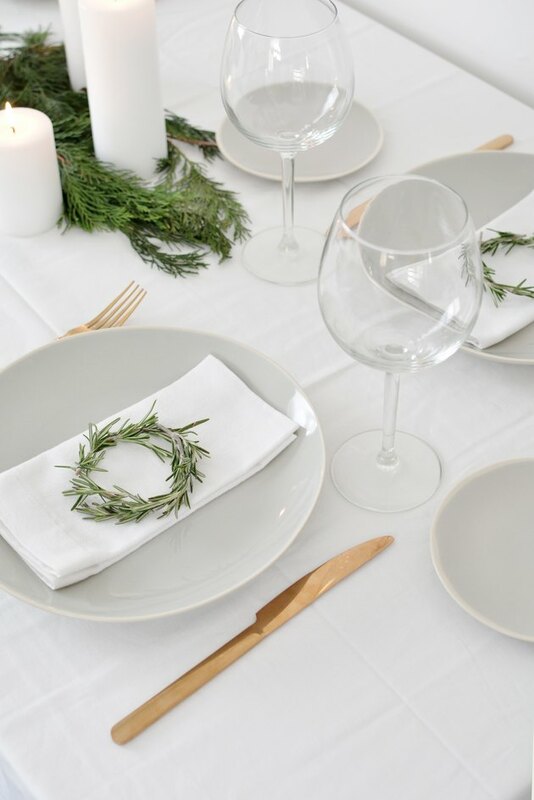 There's no better time to create a beautiful table setting than during the holiday season. 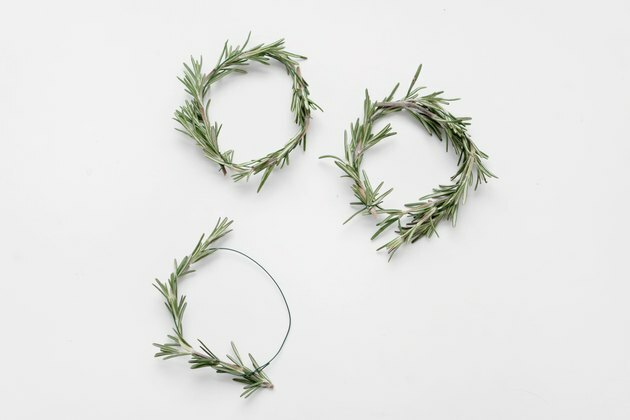 These mini wreaths not only add a personal touch, but a glorious herbal aroma, too. 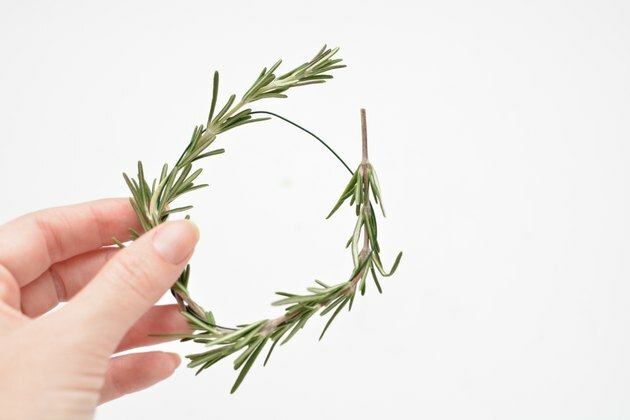 Read on to see how easy it is to make these festive decorations using fresh rosemary cuttings. 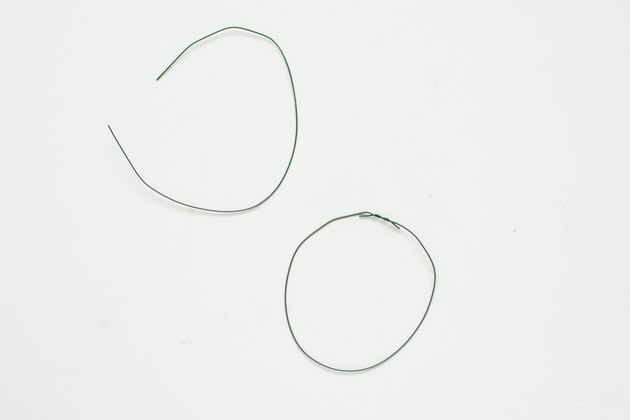 Take some fine florist wire and bend into a circle. Twist the ends together to secure. 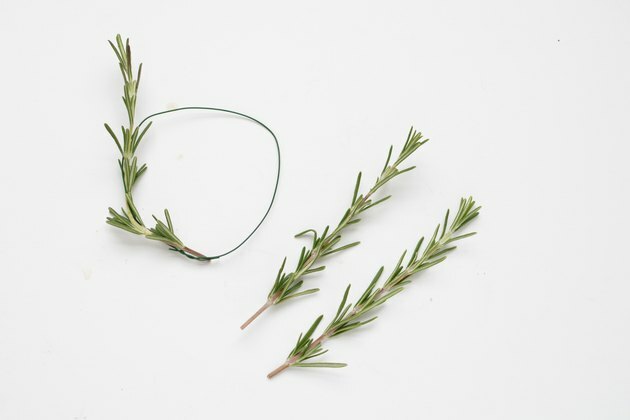 To begin, take a sprig of fresh rosemary and twist it around the wire. Repeat with one to two more rosemary sprigs, or until the wire frame is fully covered. Secure any loose ends with extra wire to finish. 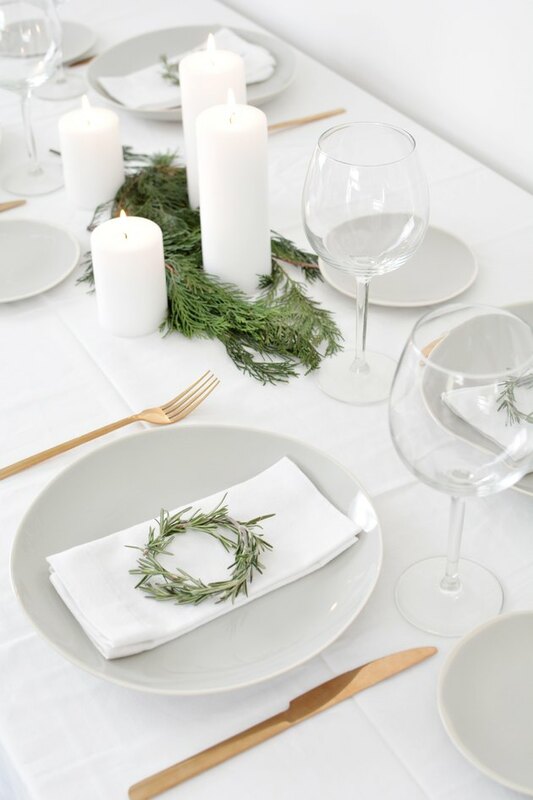 Repeat the process until you have made enough wreaths for your guests. 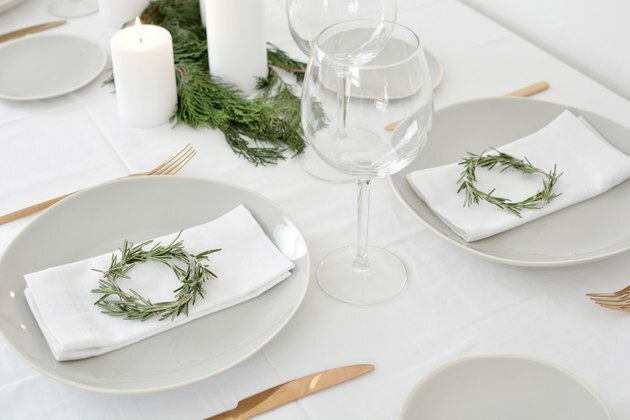 All that's left is to place them on your newly laid table!